After some quasi-traumatic experiences yesterday, Day 135 was a reward. 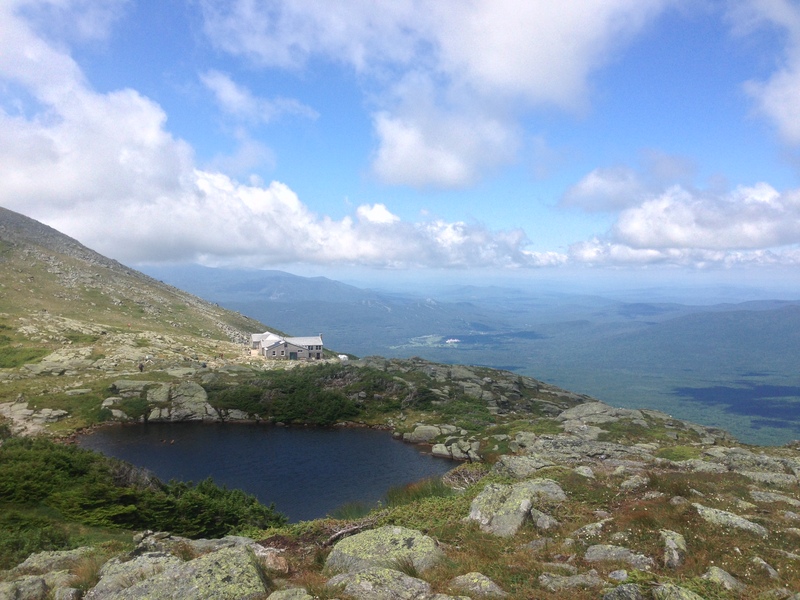 Remedy, Loon, Numbers (a PCT graduate, met him ages back before Kyle left and met him again here), and I set out for the Lakes of The Clouds Hut. This little 4.8 mile stretch here might be my favorite stretch through the whites. The rare alpine vegetation, pools of water and rolling balds felt otherworldly. Textured clouds misted over us; the sky was like being encased in a gem. This picture of Remedy and Loon is one of my favorite trail photos. Reminds me I need to share this stuff on Facebook so they can get it! I took the photo of myself with the hut at the top of the post and sent it to my mom. When I had signal later I gave her a call. She would hike up here fairly often when she was younger and has been telling me to visit this place all my life. It felt good to finally share that with her. I explored the lodge there, and wow, talk about touristy. It was built just like a ski lodge with an overpriced gift shop and cafeteria and of course throngs of people too. Unfortunately there are roads up here and even a train. But then when I stepped outside again I couldn’t believe it: perfectly clear! 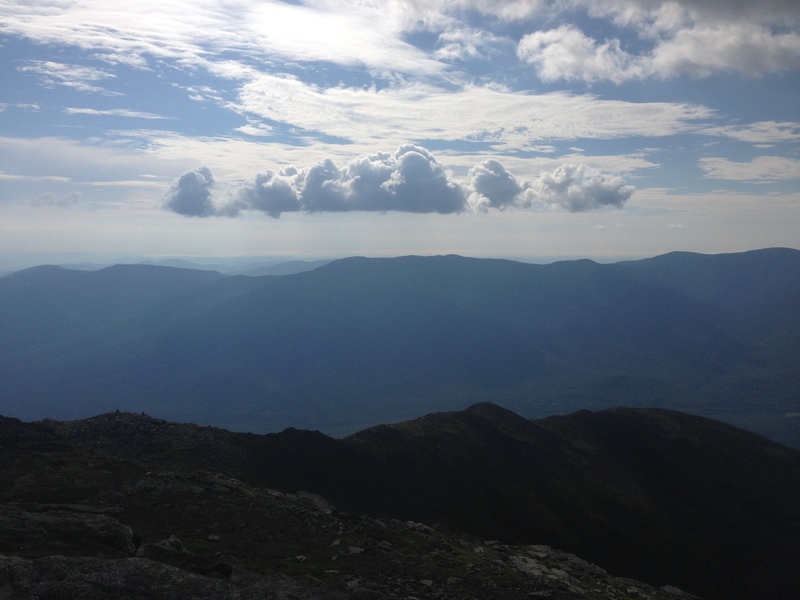 As I continued my hike over the famous presidential range the photo conditions were fantastic. Eventually I stopped at Madison Hut where the AMC staff from all of the huts were going to gather for some huge staff celebration party. Since I couldn’t stay there I camped farther down a side trail beneath the alpine protected zone. Little did I know, this was the trail that all of the trail crews take up to the party, and worse, someone in previous years had set up some kind of alcohol way station in this very spot! So all evening these lines of party-goers were walking past my tent, yelling out “WOO! JUNGLE JUICE!” whenever they saw my tent. No jungle juice here, I repeatedly explained. One of them gave me a beer. Once it got darker some passed without seeing me, and at one point a couple of guys stopped right beside me to hash out a conversation about getting laid at this party. The next morning all of the trail crews and staffers hiked back past my tent hungover and lugging actual kegs strapped to their backs. I felt kind of lucky to witness whatever the hell just happened here, like a rare animal sighting. 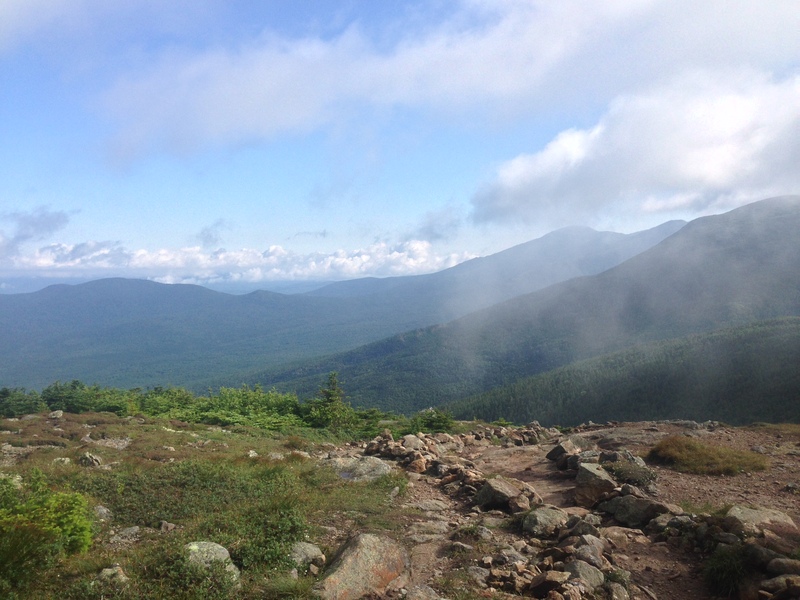 A few hours later I was back in civilization at Pinkham Notch. On a whim I looked up the town of Jackson where my uncle has a condo I used to visit with family. I should have checked before, because to my surprise it was just eight miles down the road! After a bit of messaging, on the spot, I got permission to go stay there for the night. So I hitched a ride (with hiker “Highway”who had finished SoBo through the winter two years ago) and got myself all cleaned up, resupplied, and fed. I even did laundry (maybe the 5th wash I’d done on the trip?). Thank you! And the next day it was up over Mount Carter and Wildcat. 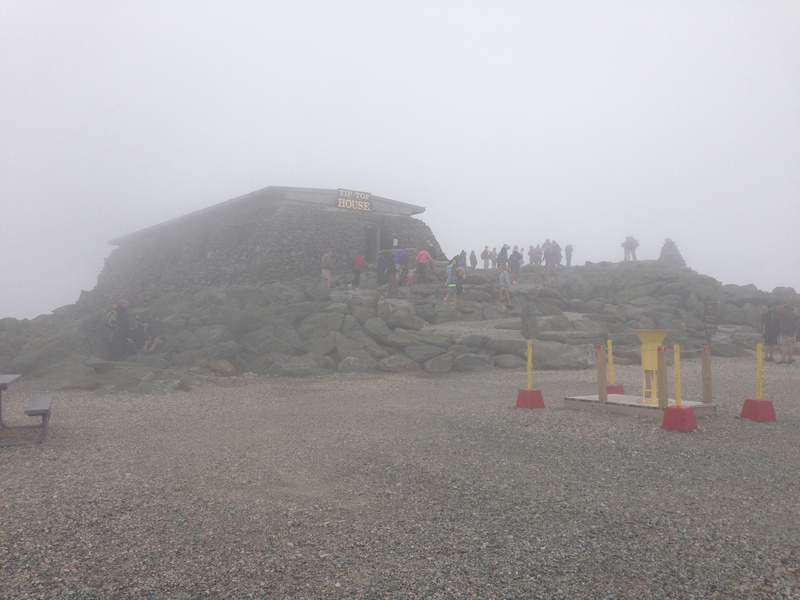 Carter Notch Hut was the last of the huts and one I had been looking forward to. Every year for three or four years a lot of my mom’s extended friends and family would gather for a big hike up to Carter Notch, always in the snowy off season. I have fond memories of those trips. One time I hiked up a sled and slid back down the trail. The hut was just like I remembered it. Soon some stormy clouds swept overhead. The last thing I wanted was to get caught in another thunder storm, so I made camp early tucking away, hidden, deep in the woods. I was feeling strange, I realized. Possibly still recovering from the other day, perhaps more than that, I was hazy and outside myself. The Whites had been new and exciting, and seeing all my friends had been wonderful, but something in me was feeling very drained from it all. And just as I was struck by the beauty of this, seconds after this photograph, a cloud rushed in from behind, below, and above me. It swept down over this valley, curling down over the mountain in majestic, diaphanous spirals. It poured into my vision from the sides, throwing eddies of mist, weaving sunlight, enveloping that palace of clouds, and in a process of about four minutes that palace was gone. It was the most beautiful display of atmosphere I had ever seen. It chilled me. I slipped and fell four times coming down the mountain for seemingly no good reason. I concluded that something indeed was off about me. My hands were bruised and scraped but fortunately nothing worse. 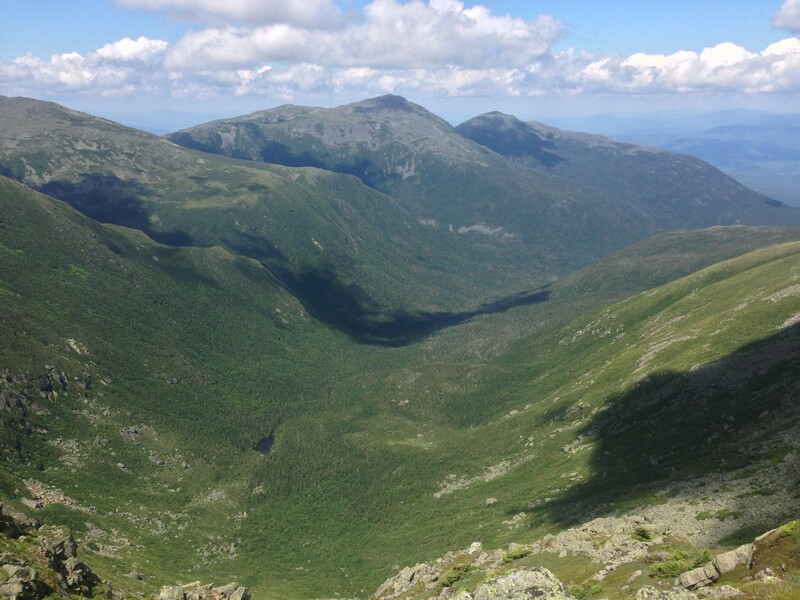 I stopped at White Mountain Hostel and bought a pint of ice cream in celebration: I had conquered the hardest section of the trail. 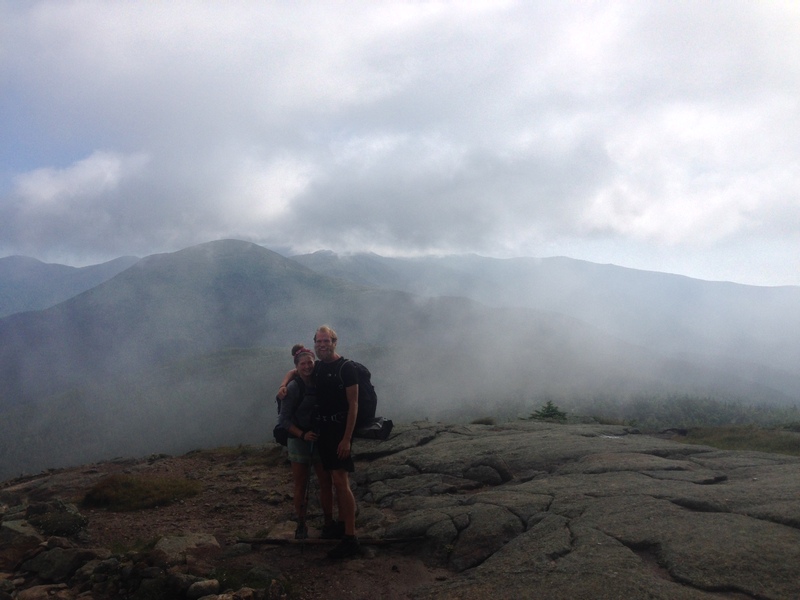 Beneath a light drizzle I hiked to a campsite approaching the final state boarder. Lived in Shanghai for 1.5 years and am now back to discover my inner-Emerson. If you like short stories and art check davidhuntington.net, but if you're into a treacherous descent into the green-spangled unknown, this is the place. I'll be hiking NOBO with my brother Kyle.